It’s uncomfortable dealing with dry air in your house, especially if you live in a region with cold, dry winters. The most common solution for dealing with dry air is a humidifier, which adds moisture to the surrounding air. From increased comfort to health improvements, to decreased energy usage and more, choosing an energy-efficient humidifier can make a major difference in your home. What causes dry air in your home? So what causes dry air in the house? Dry air is often seasonal, and it is more common when the weather turns cold. In the winter months, windows and doors are kept shut, preventing fresh air from entering the home. A home’s furnace runs frequently to maintain a comfortable temperature, drying out the air as it operates. Even a crackling fire can contribute to dry air. Simply put, a humidifier adds moisture to the air within a room or house. Ideal air humidity for a home is somewhere between 30 to 50 percent. Any lower, and the air can irritate your throat, nose and skin. Too much moisture, and mold or fungus may gain a foothold in your home. The most efficient humidifiers balance between the two extremes, and help you maintain consistent humidity in your home. Most people recognize dry air when they’re exposed to it. Dry air causes a range of unpleasant symptoms, including dry noses, throats, lips and skin. The presence of dry air in your house can even damage your home, causing cracks in paint and furniture, and wallpaper to peel. And then, of course, there’s the problem of static electricity. If you receive a static shock every time you touch a doorknob, you might need to add humidity to your room. 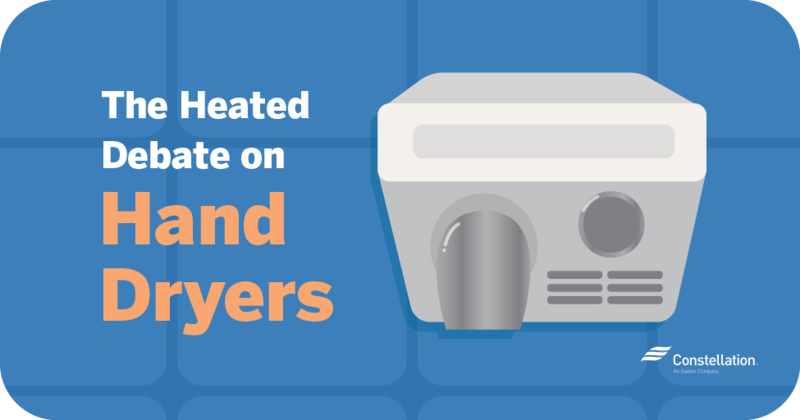 You’ll need to compare humidifiers versus vaporizers to determine what might be the best humidifiers for your home. If you own an older, inefficient humidifier, you also might want to consider upgrading to an ENERGY STAR® humidifier to reduce your energy consumption. A professional can identify and correct root causes of excessively dry air in the house, but generally, simply using one of the most efficient humidifiers will provide you relief from dry air. What does a humidifier do that a vaporizer doesn’t? 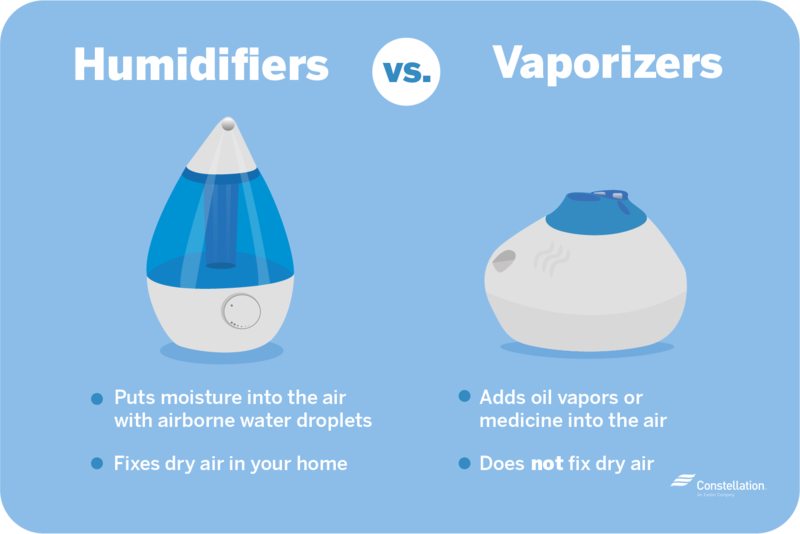 It may appear you have the choice between humidifiers versus vaporizers, but the two devices do very different things. Humidifiers add moisture to the air in the form of airborne water droplets. Vaporizers, in contrast, are designed to release essential oils or medicine into the air. They may make the house smell nicer or, in the case of medical vaporizers, relieve cold symptoms, but they are not designed to combat dry air. 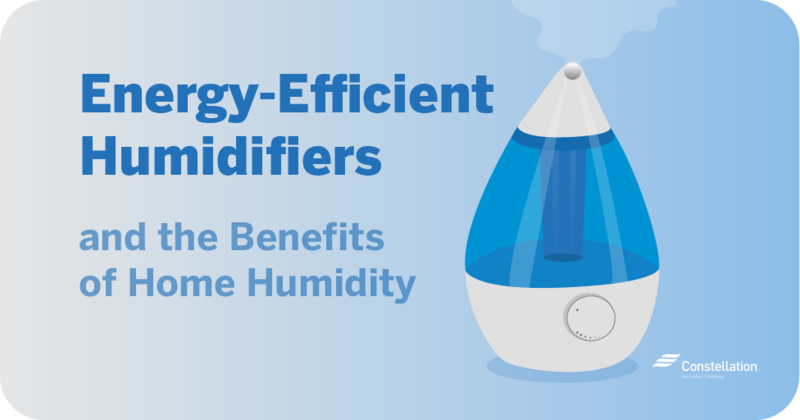 Humidifier benefits include increased comfort, health improvements, less damage to furniture and flooring, and reduced energy use, especially if you use the one of the most energy-efficient humidifiers. The physical benefits of a humidifier are quickly apparent, as the University of Rochester Medical Center makes clear: moister air prevents skin from drying out and makes coughs more productive (which aids healing). More moisture in the air reduces the possibility of wooden furniture and floors creaking, but what does a humidifier do to reduce heating bills? Moisture in the air makes you feel warmer and more comfortable, so you’re less likely to crank up the thermostat. By not raising the temperature (which just dries out air more), you can lower your energy bill, especially if you use an ENERGY STAR® humidifier. An energy-efficient model will give you the maximum benefits of a humidifier. As to which is the best humidifier for your home, it depends very much on your needs. Do you want to humidify a single room or the entire house? For some people, energy savings may drive their choice of humidifier, while for others, comfort is the main goal. How much energy does my humidifier use? According to the EPA, humidifiers account for approximately 0.11 percent of all electricity consumed in U.S. households. The type of humidifier you choose will determine how much energy it consumes. For instance, the EPA reports a cool-mist humidifier consumes 136 percent more energy than an ultrasonic model. Pro Tip! To determine exactly how much energy your humidifier uses, we recommend checking out Energy Saver’s appliance energy calculator. 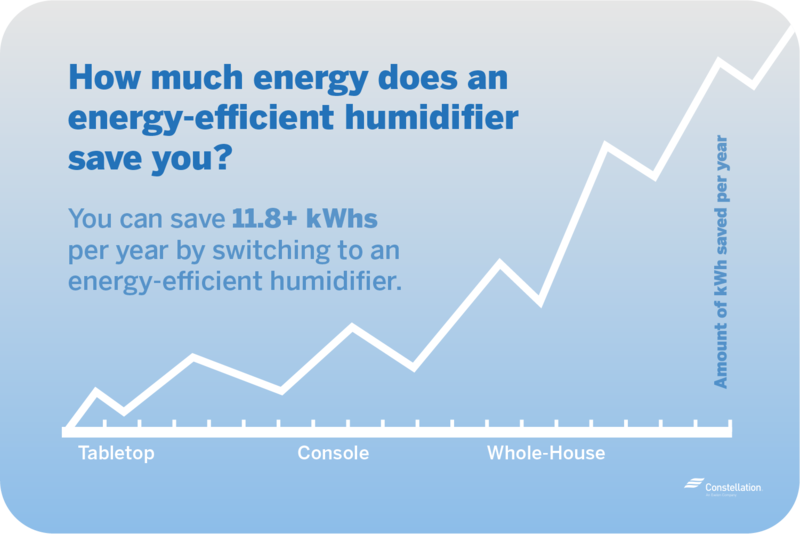 How much energy can an energy-efficient humidifier save? Energy savings are an important humidifier benefit. The EPA estimates an energy-efficient ultrasonic humidifier saves 11.8 kilowatt hours (kWh) a year. In comparison, an efficient cool-mist model saves 36.2 kWh, while a warm-mist humidifier will save 80.1 kWh annually. For steam whole-house humidifiers, the savings are even more dramatic: approximately 426.7 kWh a year. When purchasing the most efficient humidifier, you have your choice of warm-mist, cool-mist and ultrasonic humidifiers, which come in console and portable sizes. You also have the option of adding a whole-house humidifier to your HVAC system. Warm-mist humidifiers heat water using an electrical element before releasing the water into the room as vapor. They are popular choices, but if you’re concerned with energy consumption, an ultrasonic humidifier consumes significantly less energy. Cool-mist humidifiers create a fine mist by blowing unheated water through a diffuser or spinning disks. The humidifier benefits of cool-mist models must be balanced against the need to ensure the model’s reservoir contains clean water. Should water in the humidifier stand for long periods of time, it can provide a breeding ground for microbes, which could then be launched into the air along with the mist. An ultrasonic humidifier uses high-frequency vibrations to create water vapor. Ultrasonic humidifiers use less energy the other two humidifier types, but like with cool-mist models, the water in the reservoir must be changed frequently to keep it clean. What makes the best humidifier for a bedroom or other living space depends on a few different factors, but basically these boil down to lifestyle, room size and room type. Humidifier capacity refers to how much moisture the humidifier can add to the air every 24 hours. The higher the capacity, the longer the humidifier can run without requiring a reservoir refill. Capacity is not an indicator of the size of the humidifier reservoir or how large an area the humidifier can service. Water-tank size determines the amount of water the humidifier can hold in its reservoir when filled completely. The best room humidifiers for different seasons and locations may have very different water-tank capacities. Room size plays an important role in choosing a humidifier. The best humidifiers for bedrooms will not work as effectively in larger rooms like an open living room or kitchen area. In addition, you may want a higher level of humidity in your bedroom than in the living room. How Do I Know Which Size Humidifier Is Right for Me? 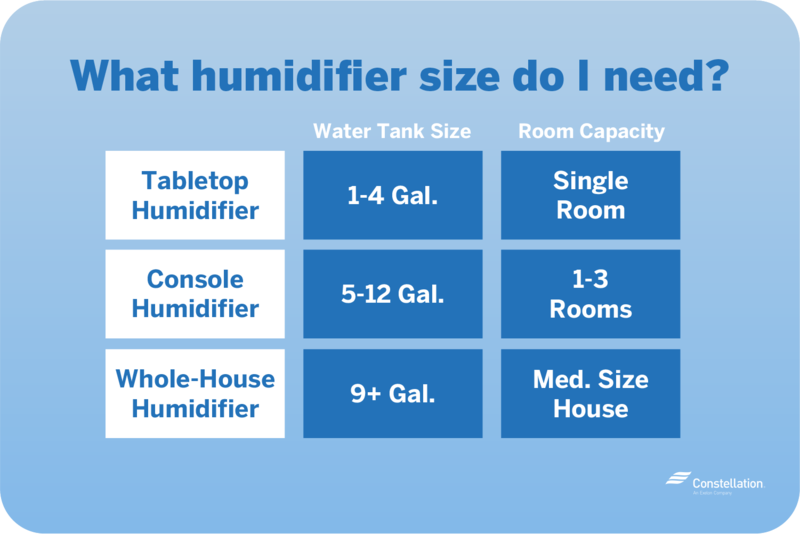 While important, room size is only one consideration when choosing a humidifier. You also must consider what level of humidity you desire, as well as the humidifier capacity and tank size. Three distinct types of humidifiers exist: tabletop, console and whole-house humidifiers. A portable humidifier is a small unit, generally holding only one to four gallons. The small size of portable humidifiers makes them ideal for small rooms, and these are therefore often the best humidifiers for bedrooms and home offices, as they can be positioned on tables, desks and other furniture as needed. Console humidifiers are usually larger than portable humidifiers and might even have wheels to make positioning easier. Their larger size makes them the best room humidifiers for open-plan layouts. Some console manufacturers claim their products are whole-house humidifiers, but their ability to humidify your entire home depends on the size and layout of your house. A whole-house humidifier is installed in your home’s heating or HVAC system and delivers humidity throughout the house using the pre-existing ductwork. A whole-house humidifier is often the best humidifier for homes with multiple stories or larger layouts. Some whole-house humidifiers require access to a drain to remove water. Pro tip! If you have or plan to install a whole-house humidifier, check to make sure your attic ventilation is adequate, especially if you store seasonal decorations or clothing under your rafters. Whether it’s winter or summer, a well-ventilated attic can make your house a healthier, more energy-efficient place. Bypass whole-house humidifiers. Bypass humidifiers capture warm air from heating ducts and pass the air through a water panel (also called a humidifier filter or evaporator pad) to absorb moisture. The air is then returned to the ducts and dispersed through the home. The humidifier is installed at either the supply or return chamber of the HVAC system. Fan-powered whole-house humidifiers. Fan-powered whole-house humidifiers add moisture to air in much the same manner as bypass systems, but they include a fan that blows air over the water panel, increasing water absorption. The fan’s electrical demands are roughly equivalent to those of a 25-watt light bulb, and as the system requires no bypass duct, the humidifier can be installed in smaller spaces. Steam whole-house humidifiers. Capable of quickly raising and maintaining house humidity, steam whole-house humidifiers boil water and push the steam into heating vents. These operate independently of the heating system. Modern humidifiers come with multiple features and options, some of which are more important than others. The following tips will help you evaluate the varying benefits of humidifier models and make the right choice for your home. Look for ENERGY STAR®–approved models. If you’re buying a new humidifier, it makes sense to buy an energy-efficient model. Check the humidifier for the yellow EnergyGuide label from ENERGY STAR®. Check for adjustable fan speed and humidistat. As ideal air humidity ranges from 30 to 50 percent, individual preferences on the right amount of humidity vary widely. Adjustable fans and humidistats allow you to adjust the humidity to a level that’s comfortable for you. Consider a quiet feature. Many homeowners run their humidifiers at night. A quiet feature can make it easier to sleep, especially if the humidifier is used in the bedroom. Improve air quality with antimicrobial features. Humidifiers with antimicrobial features filter out toxins and can improve air quality. This is an important feature as microbes that breed in humidifier water tanks can become airborne. Look for a filter sensor. A filter sensor lets you know when it’s time to change the filter. Dirty filters force the humidifier to work harder and may result in airborne contaminants. Utilize an easy-to-clean tank. An easy-to-clean tank makes it simple for you to keep your home healthy by stopping microbes before they can start. For added convenience, look for a tank that is dishwasher safe. Look for models that include a medicine cup. A humidifier with a medicine cup means not having to choose between humidifiers versus vaporizers. A medicine cup can be used to add medicinal vapors to the humidified air, and that can help reduce the symptoms of colds and allergies. Select automatic shutoff. When humidifiers run with empty reservoirs, they do nothing for your home’s humidity and may even suffer damage. Choose a model with an automatic shutoff feature so that it stops once the water reservoir is empty. Pro tip! An antimicrobial feature does not negate the need to replace humidifier water regularly. Changing the water daily prevents mold growth and allows your humidifier to work at peak efficiency. Do not humidify past 50 percent relative humidity. The EPA recommends keeping home humidity between 30 and 50 percent. Humidity higher than 50 percent may promote mold and bacterial growth. Keep your humidifier clean. Keep the filters and water tank in your humidifier clean to reduce the risk of spreading microbes or other contaminants. Refresh the water in the tank every day. Get a smart humidifier for your home. 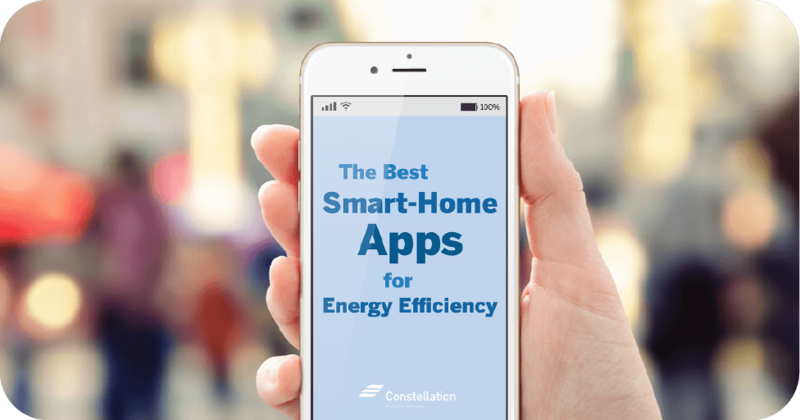 Home appliances are increasingly smart devices, able to connect wirelessly to your smartphone or smart-home hub. Smart humidifiers allow you to add humidity to rooms remotely, set schedules for the humidifier and control energy use. Use smart plugs for energy efficiency. If your humidifier doesn’t have smart capabilities, you can still control it remotely with smart plugs. One of best things to use smart plugs for is to make any appliance into a smart device, which means you can set a schedule for when your humidifier turns on or off. 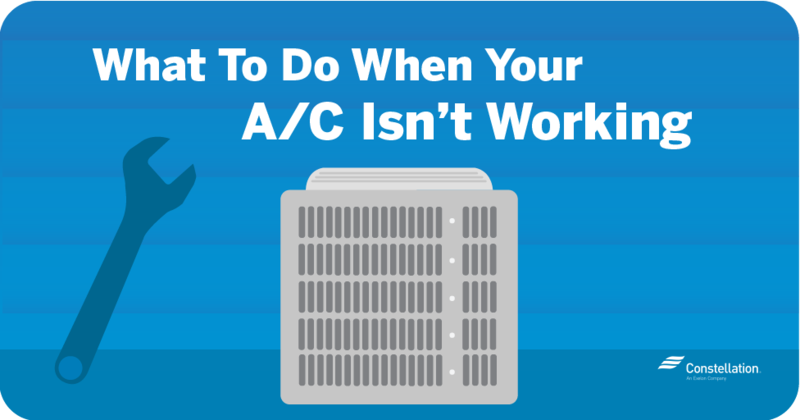 Make sure your space has proper ventilation. To ensure the best possible operation, place your humidifier in an area with proper ventilation, well away from dirt or dust, which can clog the filter or contaminate the water tank. For best results, keep doors and windows closed. Replace any damaged weatherstripping to prevent humidified air from escaping outside. Prevent mold by cleaning your air ducts. Humid air running through your ducts can promote mold growth, especially if you’re using a whole-house humidifier set to high humidity. Regular (whether professional or DIY duct cleaning controls potential mold growth. Consider air purifiers for better air quality. Humidifiers do not purify air; they only add moisture to dry air. To improve indoor air quality, combine your humidifier with an energy-efficient air purifier. Fix unwanted air leaks. Damaged weatherstripping isn’t the only way humid air can escape your home. Learning how to find air leaks in your home will help you identify and fix cracks and ventilation problems in your windows, walls, doors and roof. Installing energy-efficient windows may also help stop air leaks in their tracks. Determine if you need a humidifier or dehumidifier. Not every house needs to add humidity to its rooms. If your home or basement suffers from excess humidity and mold growth, you may need an energy-efficient dehumidifier instead. If your basement is damp, you might want to look into basement insulation tips to ensure water isn’t leaching through your foundation. Foundation water damage is much easier (and cheaper!) to prevent than to fix. Now that you know how to add humidity to a room, you’re better prepared to choose the best room humidifiers for your home. Whether you just need a portable model for your bedroom or a whole-house system, an energy-efficient humidifier can make your entire home healthier and more comfortable.